Developing cognitive models that can emulate soldier behavior has been encouraged by the defense community. Due to the shift from regular to asymmetric warfare there is a growing need to develop high fidelity models/agents for social and cultural training. 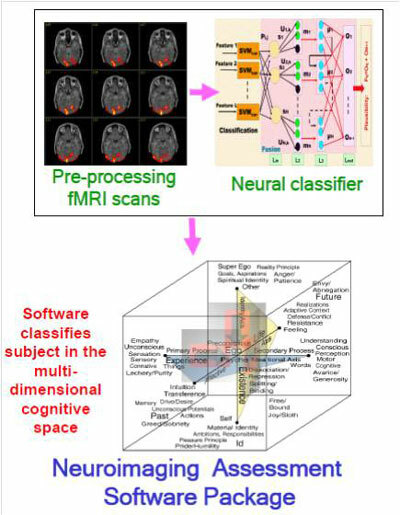 To match the internal signature of these cognitive agents and not only the behavior output which can be easily observed with actual soldiers, UC has extensively used functional magnetic resonance imaging (fMRI) to augment state of the art cognitive models to improve convergence with actual internal neural representation and observed human behavior. 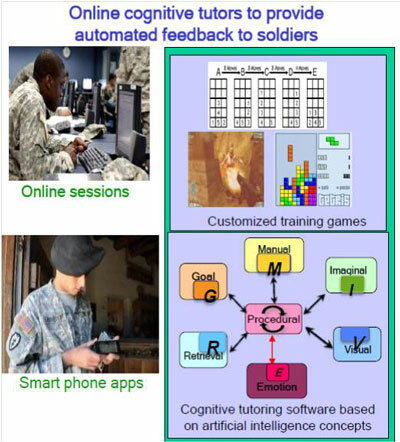 The models can also be used as cognitive tutors on smart phones to facilitate faster rehabilitation of post-traumatic stress disorder and mild TBI soldiers by helping them retrain their decision-making, planning and other necessary cognitive skills. The high-fidelity cognitive models can be employed as agents for social-cultural training. The developed models can also be programmed to behave as intelligent tutors for cognitive rehabilitation of PTSD and mild TBI soldiers. Better accuracy and performance convergence is achieved using our neuroimaging-enhanced models compared to other existing models.